With the 2019 Dodge Durango in Albuquerque, the third generation just keeps on trucking along. Why mess with perfection? That has been the approach by Dodge. The Durango continues to set the bar in its class, and so Dodge continues to refine it rather than make any fundamental changes. The result is a mid-size three-row SUV that is worthy of your consideration, and you can see them in person at our location in Albuquerque New Mexico serving Albuquerque Los Lunas Santa Fe and beyond. 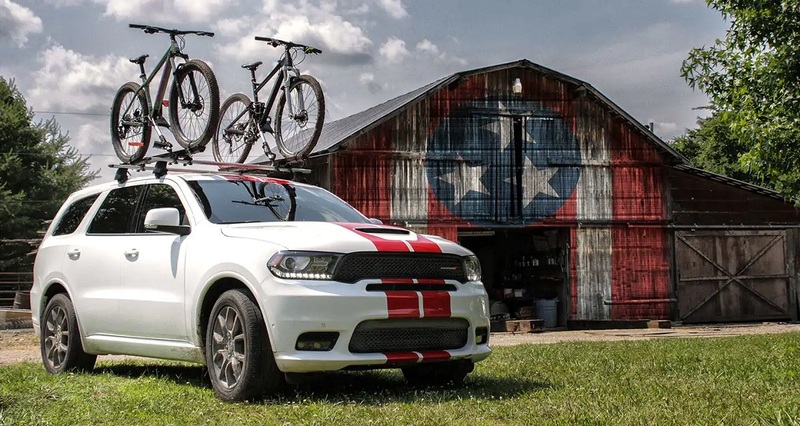 Appeal with attitude has been the design philosophy for the 2019 Dodge Durango and all of the third-generation Durango models. The goal is to balance ruggedness with stylishness, and every element of the exterior has been designed to impress. The focal point of this design is the now-iconic split-crosshair grille, but the rear is no slouch either. Inspired by Dodge muscle, the rear illuminates and dominates due to a class-exclusive LED racetrack taillamp that boasts more than 190 individual LEDs. There are many color options to choose from, and if you want to turn heads, you can opt for an aggressive look on the R/T and SRT models with Mopar dual stripes. If the exterior is rugged, then the interior delivers strength from within. Even auto critics are impressed by how the Durango offers more interior space than expected. This is an interior you will want to see firsthand at our location in Albuquerque New Mexico serving Albuquerque Los Lunas Santa Fe. You even get 84.5 cubic feet of cargo space thanks to second-row captain's chairs that fold and tumble. With all the seats in an upright position, you can accommodate up to seven adults comfortably with the 50-50 split-folding third row. The 60-40 second row reclines and features cup holders and arm rests. In fact, there are 50 different seating configurations in all. 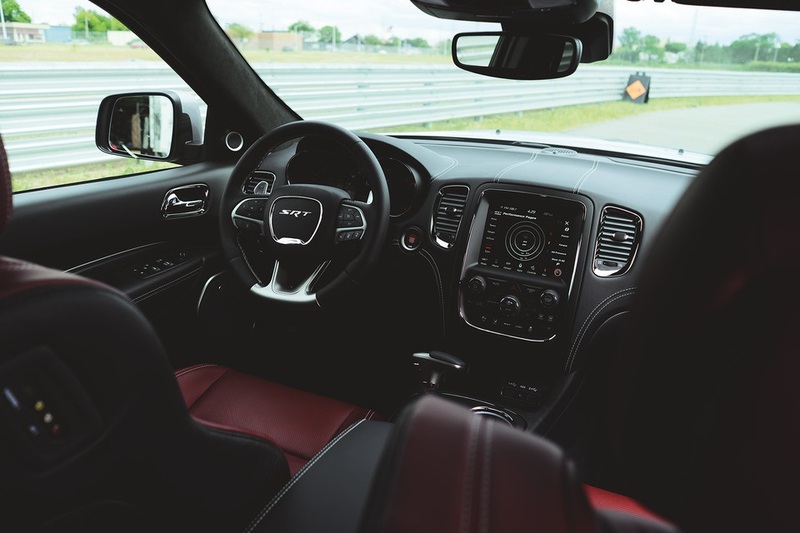 The interior is as detail-oriented as the exterior and features leather trim, heated and ventilated front seating, USB ports throughout and more. Most Durango models are rear-wheel drive standard. All-wheel drive is an option in most cases and the default in some. The base engine, which comes with the SXT, is a 3.6-liter V6 that gives you 293 horsepower and 260 pound-feet of torque. With this engine, you can tow up to 6,200 pounds, which is more than enough for weekend excursions with a full complement of passengers and cargo. If you prefer a more powerful engine, then you need to move up to either the R/T or SRT. The R/T features a 5.7-liter HEMI V8 that delivers 360 hp and can tow up to 7,500 pounds. The SRT, on the other hand, has the 6.4-liter HEMI, which gives you 475 hp and can tow up to an impressive 8,700 pounds. 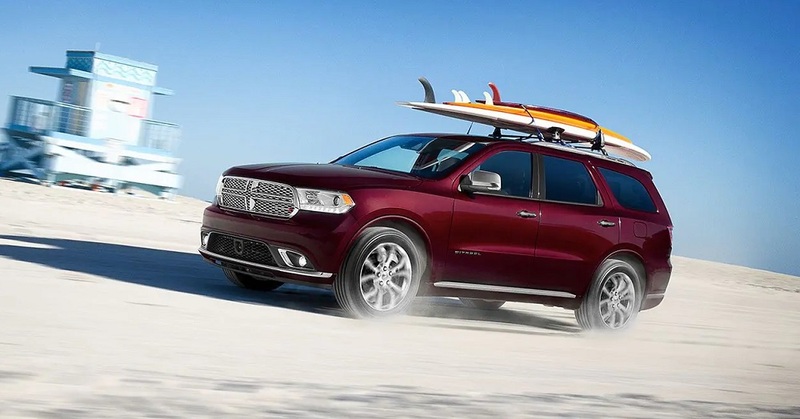 Available Dodge Durango lease and specials offer two Uconnect systems: the Uconnect 4 and the available Uconnect 4C NAV. The base model fully supports voice commands and has a 7-inch color touchscreen. The 4C NAV version has an 8.4-inch touchscreen and includes numerous features, such as SiriusXM Guardian, which offers roadside assistance, navigation features and much more. Dodge has integrated a number of standard and available features to protect you and your passengers. These include parking assistance and adaptive cruise control with stop. Blind-spot monitoring keeps you aware, electronic stability keeps you in control and the innovative braking system can brake each wheel independently as well as provide support in rainy conditions. 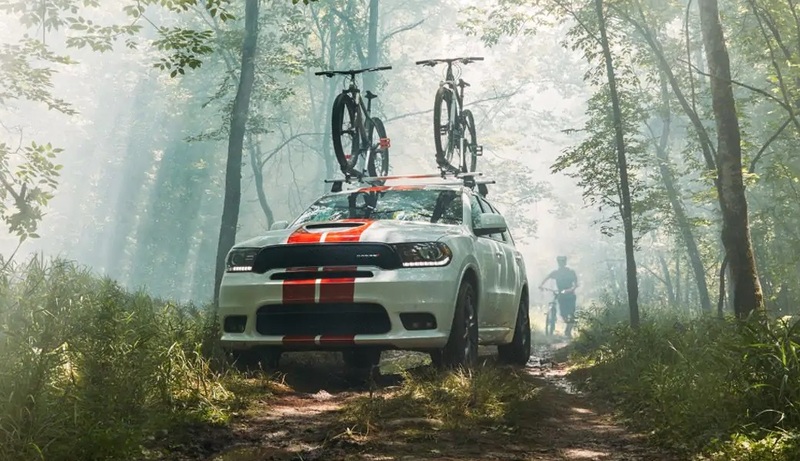 The Dodge Durango continues to be among the most exciting and popular options in its class and on the road. If you have been considering a new 2019 Dodge Durango, then we welcome you to visit our location in Albuquerque New Mexico serving Albuquerque Los Lunas Santa Fe. We have a large selection across all trims, and you can see, feel and test-drive these beauties firsthand. There are also many Dodge Durango lease and specials that can provide solutions for practically any budget. Visit our dealership at your convenience, or feel free to call ahead or contact us online via our website.